SARASOTA, FLORIDA, November 15, 2018 – The Sarasota City Commission is considering a proposal to allow short-term rental regulations in single-family residential neighborhoods, a plan that could affect investors’ choices on Sarasota homes for sale. The rising popularity of rental sites, like Airbnb and VRBO, particularly amongst senior homeowners, has prompted interest in relaxing the regulations now in place. One target for revision is the current ruling that single-family dwellings are only allowed to be rented as a whole unit for a period of not less than 30 days. 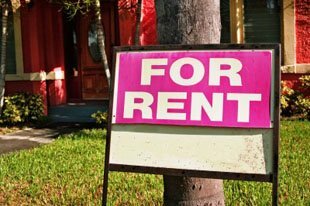 Aside from easing the minimum rental period, there is also a clamor to permit host-occupied rentals, allowing homeowners to rent out part of the house wherein they live. Those lobbying for the policy changes contend that relaxing the short-term rentals regulations opens an additional opportunity to boost the county’s tourist development tax revenue. This thinking is mainly founded on the market demand from tourists more or more interested in staying in less pricey residential neighborhoods than in hotels or inns. However, a lot of bargaining could be expected before any revision of current rental regulations is adopted. While many homeowners advocate for short-term rentals, which come as a means to monetize their real estate investment, plenty of local residents are also vigilant in preventing vacation rentals spreading into their neighborhoods. On Siesta Key, the advocacy group Good Neighbors of Sarasota Beach has been organized precisely to challenge illegal short-term rentals. The Siesta Key Association, the island’s socio-civic group, has also underscored that the neighborhoods it represents are averse with allowing an increase in the number of short-term rentals in their communities. The association has likewise urged residents to monitor and report violations of the city’s short-term rental regulations, as it noted rising rental activity on the island. Such vigilance, it added, helps in the enforcement of the local rental policies which include a recent prohibition on the advertising of illegal short-term rentals. 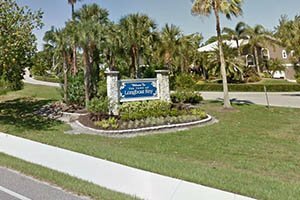 Longboat Key officials too have tightened the town’s enforcement of their code banning rentals of residences for less than 30 days. Earlier this June, the Town Commission passed an ordinance giving its code enforcement officers the power to issue fines or citations at any time when a homeowner appears in violation of the rental ban. This new ordinance would be in addition to the policies that the associations of homeowners and condo owners on Longboat Key have adopted to limit or regulate short-term rentals. The code citations are similar to tickets issued to drivers found violating traffic rules and could be challenged with a magistrate later. Similar citations could be also be imposed on other Longboat code violations, such as construction work after hours without appropriate safety measures in place, conducting commercial business on town-owned property, and violations of sea turtle protection measures. Longboat Key notably counts amongst a few Florida municipalities with a well-defined set of codes and ordinances limiting and regulating the use of residential properties as short-term rentals. Residents as well as prospective home buyers typically welcome these measures because they foster friendlier and close-knit communities with less or no transients amongst them.